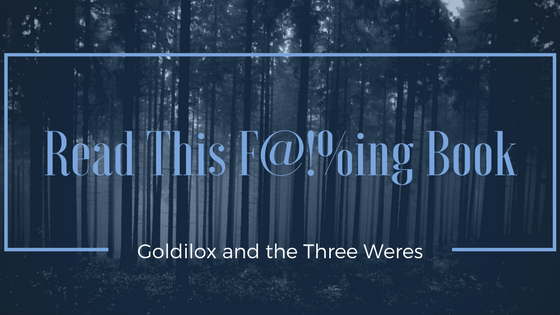 Goldilox and the Three Weres: Weres Wanna Know: Do You Reread Books? I do reread books or more often, I relisten. I do it for many different reasons, sometimes I relisten to the entire series before the next book in the series comes out. 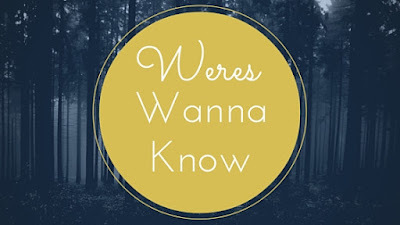 I have series that are complete and I want to revisit the characters. Sometimes I've read a book and then go back a listen to it later. 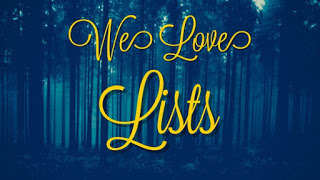 I do find myself doing it less and less because my TBR list is growing so quickly and there are so many new books that I want to get to, that I have less time for revisiting the older ones that I loved. That doesn't mean that I've stopped, just the number that I revisit has gone down. Great topic. I love audiobooks for this reason! All my audiobooks are rereads since I have a hard time listening to books I haven't read before. My physical rereads have gone down for the same reason as yours though. Too many new books to read. I have re-read to get ready for the next book in the series. I've also re-read the series from the beginning after the latest book raised some questions. A few times I re-read by accident after I went to look something up and wound up finishing that book and reading the next one on the series too. When I first started reading, I would re-read because I didn't have any more books, but I never have that problem anymore. I sometimes go to reread my favorite scenes in a book and end up rereading it too. It's been a while since I've reread a series before the next book. I take a lot of detailed notes like a Recaptains post after I finish a book so I don't need to reread but sometimes I go back after finishing the newest book *cough* Mercy Thompson *cough* and reread the series. In general, I don't reread. I've just started listening to audio books and these are all books I've previously read. Audiobooks are great for rereads! I sometimes have to stop myself from rereading favorite series, because once I start on one, I think oh it'll be okay to do another and another and another, until I've reread all of my favorites. Mercy Thompson and Chicagoland are usually at the beginning of this downhill slide. 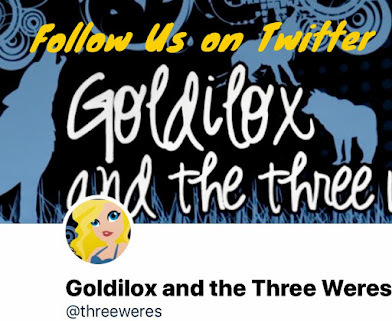 And with new books for both of those series coming out in March, it's very difficult not to read both series for the fiftieth time!! Okay, maybe not quite that many, but it feels that way sometimes. And where you have trouble with Guild Hunter, I want nothing more than to jump back into the Psy-Changeling series. By the time I got to the end, I really wanted to start over because so many important things had happened from the beginning to the end, I felt I'd forgotten half of them and needed the reminder! Maybe when the new one comes out, I'll reread my favorites in the series and skip the ones that I found boring (though really that only takes maybe 3 out of the whole series out). But I reread because I love the worlds the authors have created and to remind myself of things when a new book is coming out. And I've also reread series when I ran out of books I really wanted to read, though I'll never be out of books completely, as long as Amazon has all those free books for me to choose from, and now I have Kindle Unlimited, which always has some I want to read on there *cough* Harry Potter *cough*!! I'm glad I'm not the only one who always wants to reread favorites! I fell into a Mercy Thompson/Alpha & Omega reread this month so I feel ya! I have trouble with not rereading the Guild Hunter and Psy-Changeling series all the time. Nalini Singh's books are so dang addicting! I reread the whole Psy-Changeling series over Christmas for the fourth time since I read the whole series last June. They're such incredible books! YES! I love to re-read and I am the exact same re: The Raven Cycle! I want to do a formal re-read before TRK is released, actually! But I re-read my favorite books every year -- about 10-15 of them. And I re-read if I am stressed out. I'm the same! I reread about 8 books every year without fail! OMG! The Raven Cycle is amazing! I'm trying to take my time listening to them on audiobook but I can't stop listening to them! Also, rereading a favorite book is totally my go-to way to deal with stress!